I was home with a sniffle this weekend so finally got a chance to do some DIYing to the effect of turning everything I hadn't been wearing into a scarf. A white pleated scarf has been on my To Do list ever since seeing this Chanel ad featuring Lily Allen and some unattractive luggage. But look at the collar. Cutifuls, right? 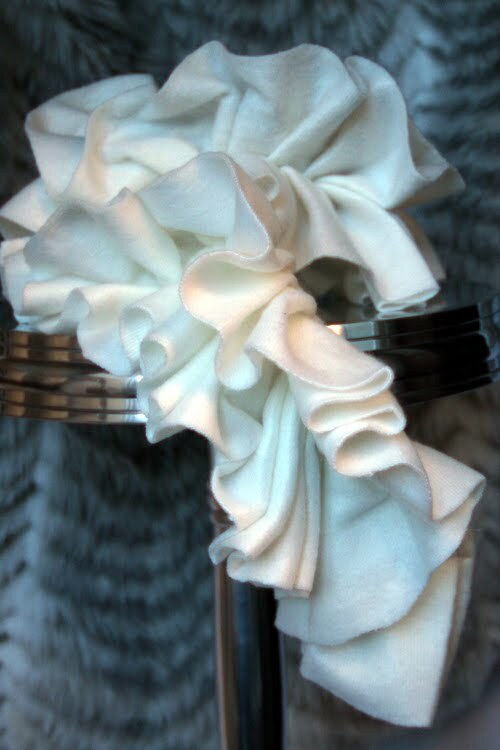 Disney at Ruffles and Stuff did a great version of this collar awhile ago but I wanted one more wintery and scarf-like. 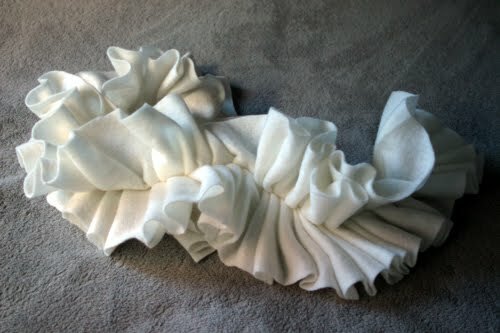 Meagan Tintari also did a summery version of this type of scarf at Love Maegan. I kind of ripped off her tutorial. The brilliant part of this (if there is one) is that I made it from two cheap boring fleece scarves I thrifted at different times. I cut about two inches off the width to make them about 10 inches wide. 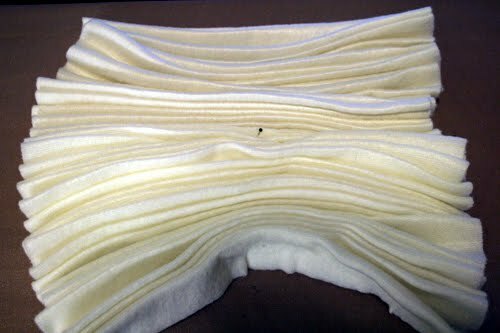 I folded pleats about an inch or an inch and a half wide. 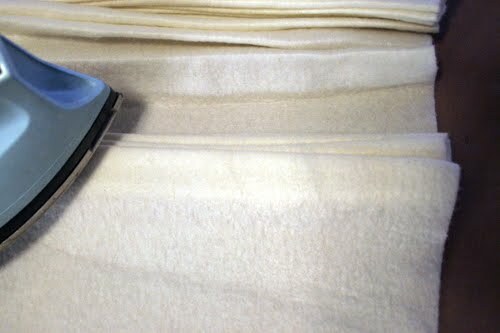 I ironed the pleats as I went. 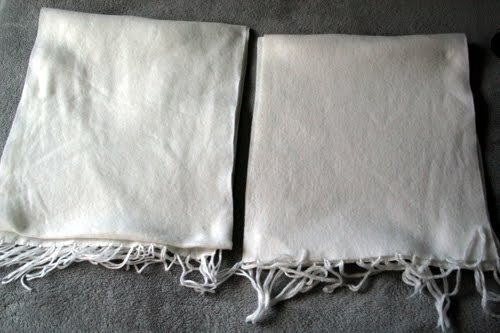 This is what the two scarves look like at this point. 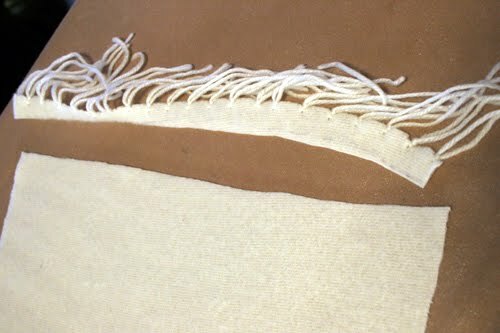 Feed the pleats through your sewing machine and sew a straight stitch down the middle. 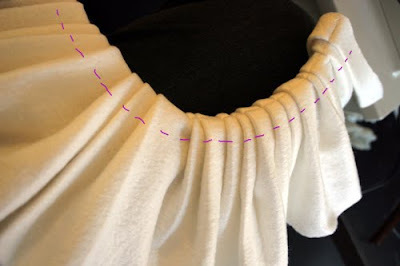 Fold the scarf in half and neated up the pleats. 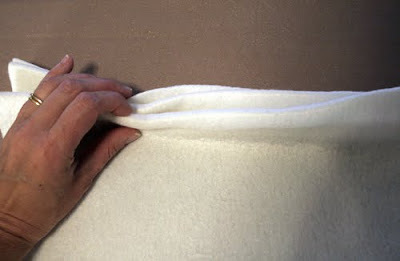 Sew a second seam about an inch from the first, sewing the two layers together. Your scarf is done. Wrap it and hold with a pin, ribbon or your own special je ne sai quoi. If the scarf feels like it's a little too much (e.g. 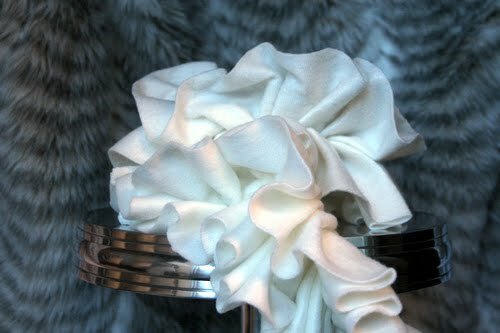 Bozo-the-Clown-like) trim a half inch or so off the ruffle. Do you have any inspirations or projects to share? Link up at the November Inspired blog party before it's too late. OooooO, I think that I might be able to do this. 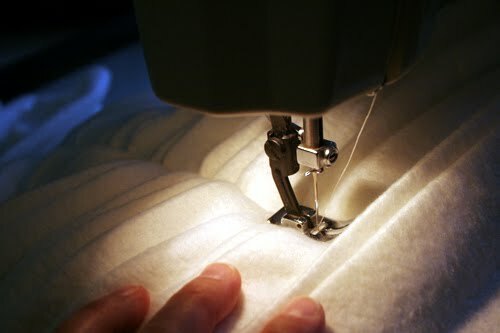 Let me dust off the old sewing machine. The scarf is pretty. Just today, I was looking through a basket of $1 (but boring)scarves at a thrift store and wondering what I could do with them. 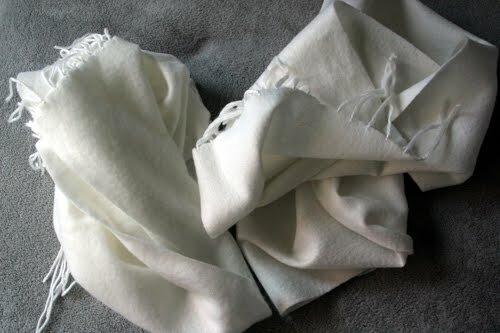 I too have a sniffle today and I'd love this Pierrot collar/scarf, so good fortune has brought me to your blog today. Already I'm looking around to see what I can cut up.